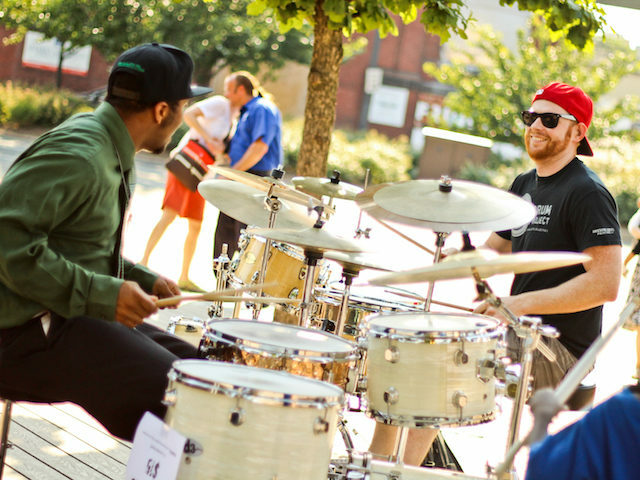 Once again, Murfreesboro rhythmist Ross Lester and his drum disciples will host a community rhythm event to celebrate worldwide Make Music Day. June 21 is Make Music Day, a celebration of music that started in France in 1982, which also coincides with the summer solstice. In Murfreesboro, Lester, the man behind Everybody Drum Some, uses this day to encourage anyone and everyone to come out and join in a group percussion session, regardless of their experience. This year marks the third annual Make Music Day/Summer Solstice drum jam at Old Fort Park, a collaboration between Everybody Drum Some and the Murfreesboro Pulse.